If you’ve got a holiday on the horizon or simply fancy paying a little more attention to your pins, look no further than this transformational kit from the brand that’s rewriting the book on leg care, Legology. 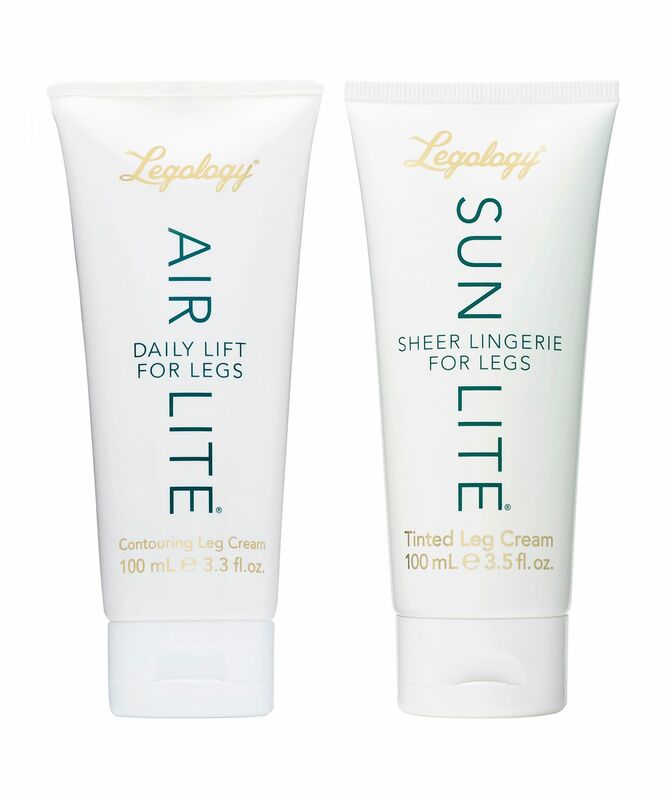 The innovative brainchild of award-winning beauty journalist, Kate Shapland, this duo unites Air-Lite Daily Lift For Legs and Sun-Lite Sheer Lingerie For Legs. 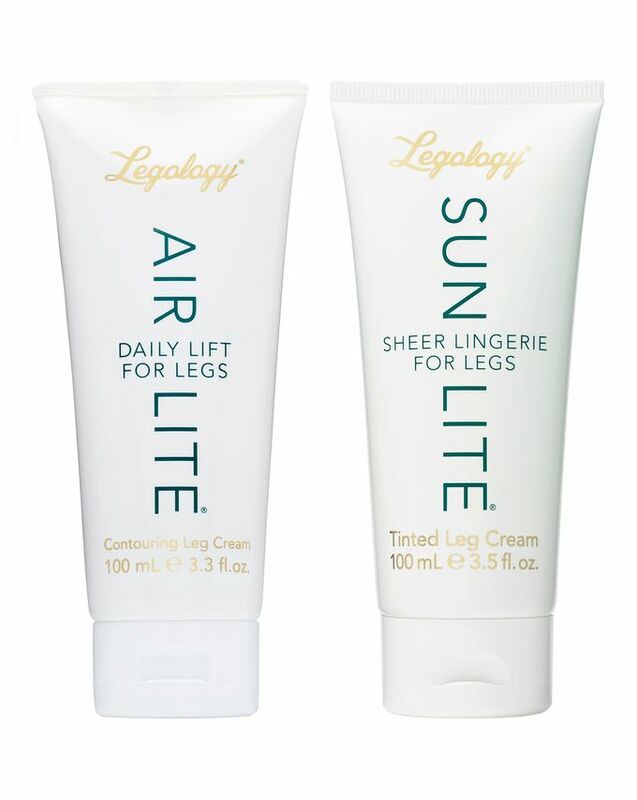 A pioneering contouring and lightening cream, the daily leg ‘lift’ delivers deep drainage benefits to reduce fluid retention (in turn discouraging cellulite) while the tinted ‘invisible super stockings’ finishing cream imparts wash of colour and an energised, supported finish. If your legs feel heavy, swollen, tired, tight – or you just can’t shift stubborn cellulite, it’s time you introduced them to the brand changing the game when it comes to leg care: Legology. Truly innovative, this range was created by award-winning beauty journalist and ‘legspert’ Kate Shapland to provide powerful relief with products that are a joy to use, not a chore. Letting your pins take centre stage, Hot Legs Instant Transformation Kit for Legs is a dreamy, dynamic duo that combines the brand’s Air-Lite Daily Lift For Legs and Sun-Lite Sheer Lingerie For Legs. The former is a pioneering contouring and lightening cream delivers deep drainage benefits to reduce the tightness and puffiness caused by fluid retention, which is especially noticeable if you’re pregnant, flying or spending long days on your feet. By lightening legs and restoring a forgotten nimbleness, the cream also discourages cellulite and dissolves aches, pains and fatigue. At the same time, Air-Lite enhances skin tone, hydration and suppleness, rejuvenating and energising from the toes up. Sun-Lite, meanwhile, is a cool, subtly tinted cream infused with a hint of pearl to give skin ‘un tocco del sole’ (‘a touch of sun’) and scented with Legology’s luscious lemon signature fragrance, Capri Crush. The wash-off colour acts like a pair of tights or stockings, instantly blurring imperfections and unifying the appearance of skin, while also contouring legs and restoring forgotten nimbleness to make your pins feel lighter, tighter and more energised. Apply sun-lite sheer lingerie for legs every day to maximise the look & feel of bare legs. Apply this as you do tinted moisturiser for your face. 1. Starting at your ankles, apply Sun-Lite in long upward strokes towards your knees. 3. Smooth well over and around your knees, then apply further up the thigh if required, remembering to blend well around the backs of your legs. 1. Starting at your ankles, apply Air-Lite in long upward strokes towards your knees, then stroke it up over your thighs and buttocks. 2. Repeat the strokes several times over the same areas, then use your thumbs and a medium pressure to push up (never down) in lines from your knees to your thighs all around each leg: repeat a few times. Ankles: circle the bone with your thumb, pushing around it several times then up the sides between the ankle bone and heel. Push your thumbs all around your ankles and up the sides of your calves. Imagine you are pushing fluid through a tube. Knees: use your thumbs to massage the fleshy inner (medial) sides and outer (lateral) sides of your knees. Massage the depression behind your knees in a circular way with your thumb to ease the tightness that can occur here due to a cluster of lymph nodes. Calves: using both thumbs and medium pressure, push up the sides of your calves – first the backs, repeating several times in lines from heels to backs of knees, then at the sides of your calves, then over the front shinbones. Thighs: push thumbs up over thighs; pinch the skin (inner and outer thighs) and buttocks with your thumb and index finger and roll between your fingertips several times. Relaxation: lie flat with your feet up against the wall for 10 minutes to encourage fluid to travel back up your legs.